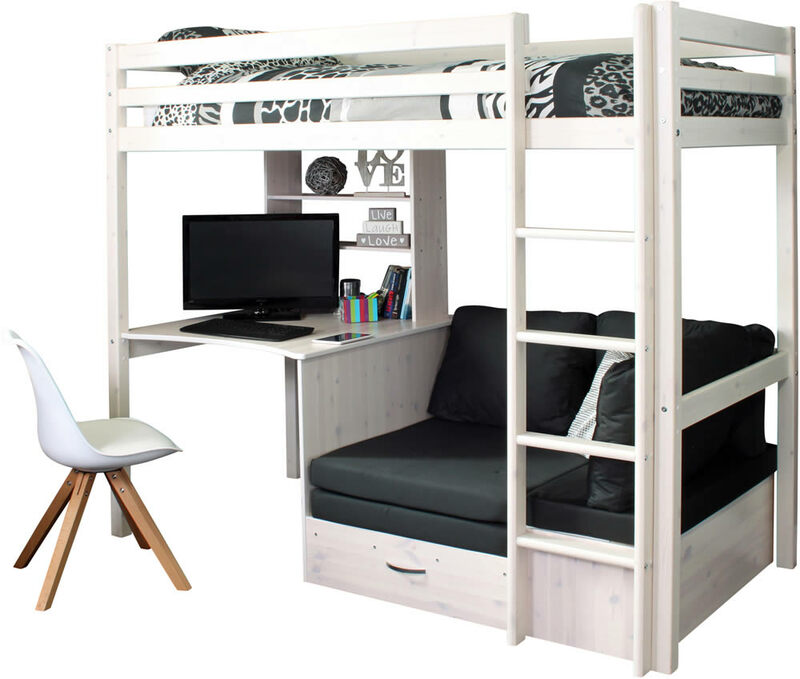 The Thuka Hit 8 high sleeper bed in a whitewash finish features a fixed desk, two shelf desk top shelving unit and a pull out sofa bed with black cushions. 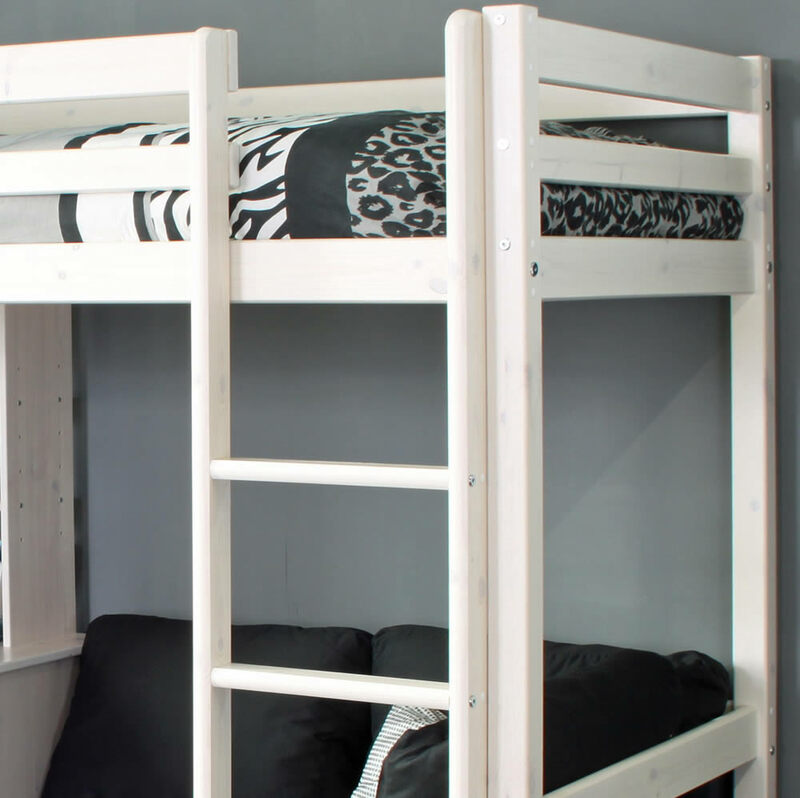 The Hit bed is made from Scandinavian pine with a modern whitewash finish that allows the real wood grains to show though. 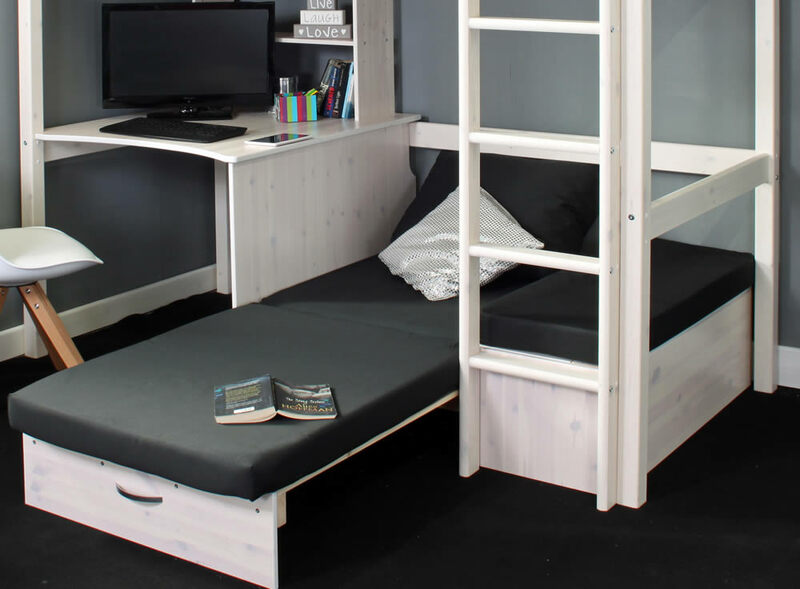 The integrated sofa bed features a side storage box and easily pulls out extending to approximately 2 meters, perfect for use as a sleepover bed for friends and family. 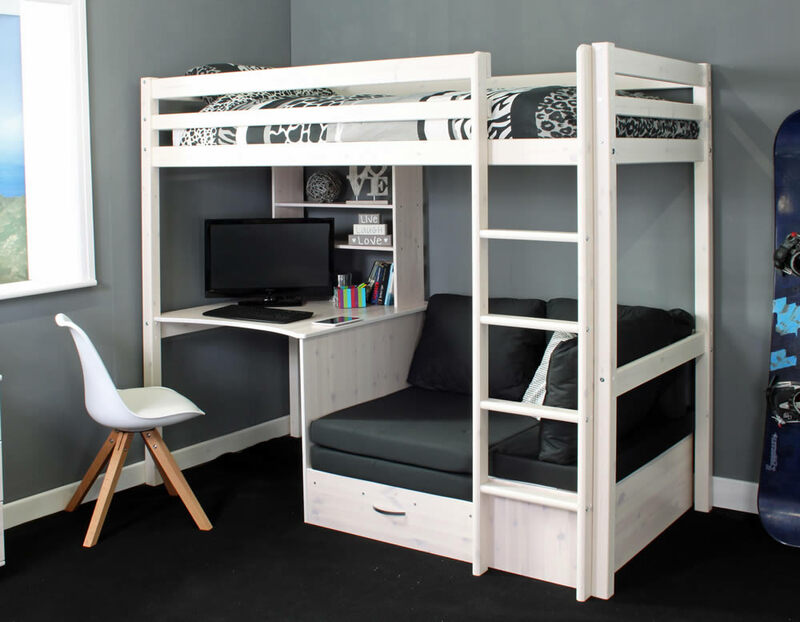 The fixed desk and desk top shelving unit offers a space for your child to study or play and additional bedroom storage all within the footprint of the high sleeper bed frame. 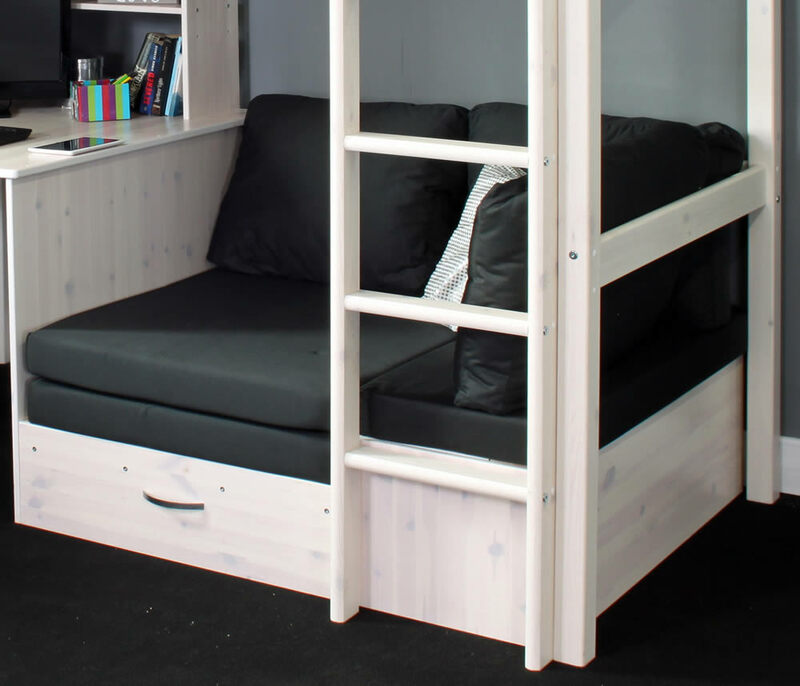 The Hit sofa cushions are available in a choice of three popular colours including Black (Hit 8), Grey (Hit 9) and Pink (Hit 7).